Alexander is the Chief Scientific Officer of the Biogerontology Research Foundation, a UK-based registered charity supporting ageing research worldwide. He is also the director of the International Aging Research Portfolio knowledge management project, chief scientist of Youth Laboratories and the adjunct professor of the Moscow Institute of Physics and Technology. He holds two Bachelor Degrees from Queen’ s University, a Masters in Biotechnology from Johns Hopkins University, and a PhD in Biophysics from the Moscow State University. 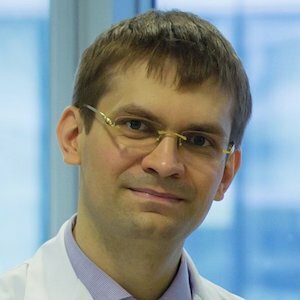 Alex Zhavoronkov is the author of over 90 research publications in the peer-reviewed journals and books including “The Ageless Generation: How advances in biomedicine will transform the global economy” (Palgrave Macmillan, 2013) and “Dating AI: A Guide to Falling in Love with Artificial Intelligence” (RE/Search, 2012). Ageing is a complex process that has been observed in all biological systems at every level of organisation. Some anti-ageing interventions have demonstrated life-extending effects in model organisms. Although very good progress has been made in the area, the translation of these interventions in human clinical practice remains limited due to the absence of comprehensive ageing biomarkers. Recent studies suggest that a set of biomarkers, rather than any individual biomarker, constitute the most effective means of assessing the health status. The presentation will cover the development of comprehensive and robust biomarkers of ageing using deep learning and blood biochemistry, transcriptomics, and even imaging data, to be able to track the effectiveness of the various interventions we are developing.